Monty Python, as truthful as it gets. I have long been a fan and admirer of Monty Python and its wonderful team of writers and actors. What at first seems like pure comedy becomes deep social commentary when you understand the historical and religious connections. Indeed some Monty Python films cannot be fully appreciated unless you have a solid foundation in history, including history of Rome, Judea, Briton and the Church. Monty Python, The Search for the Holy Grail is a film steeped in history and connected to real events or...myths. And here we hit a key point. Much of history is actually myths cleverly integrated into real history with a clear political agenda. Monty Python cleverly exposes how foolish we all are. In one great scene, called "Constitutional Peasants" King Arthur faces off against surprisingly well educated and articulate peasants who were unaware that Arthur was in fact their king. When asked how he came to be king he gives some supernatural story ..The Lady of the Lake..held aloft Excalibur from the bosom of the water...signifying by divine order that I am to be king...That is why I am your king! The intelligent peasant responds: Listen, strange women lying in ponds distributing swords is no basis for a system of government. Supreme executive power derives from a mandate from the masses not from some farcical aquatic ceremony. If I went around saying I am an emperor just because some moistened bink had lobbed a scimitar at me they would put me away. And yet, many martial arts styles are based on very similar stories, but sadly they are presented as truth, not satirical comedy. The government of Israel sought out an outstanding athlete. He was reluctant at first, but the wise men came with gifts and beseeched him to create a new hand to hand fighting system as he was the greatest warrior in all the land. And thus he came, and saw that none knew how to fight, save him, and he analyzed all existing systems and created a new one. And now, having served his country so well he left his country to make money abroad. But only after becoming a national war hero etc etc. Yes, this is what we hear daily, and see on so many websites. You would think the prime minister of Israel has nothing better to do to search the martial arts academies for this weeks new hero. It seems half the Krav Maga instructors in America were "chosen" by the Israeli government to create a new system, revamp the old system, be head of security, be chief instructor of the IDF etc etc. All we are missing is the Excalibur sword and it would be a perfect skit. But sadly it is presented as fact and people buy it. I once approached one of these instructors and naively asked for some war stories, he laughed, C'mon Moshe, what's wrong with you? (i.e. this is for the "public", there are no real stories). 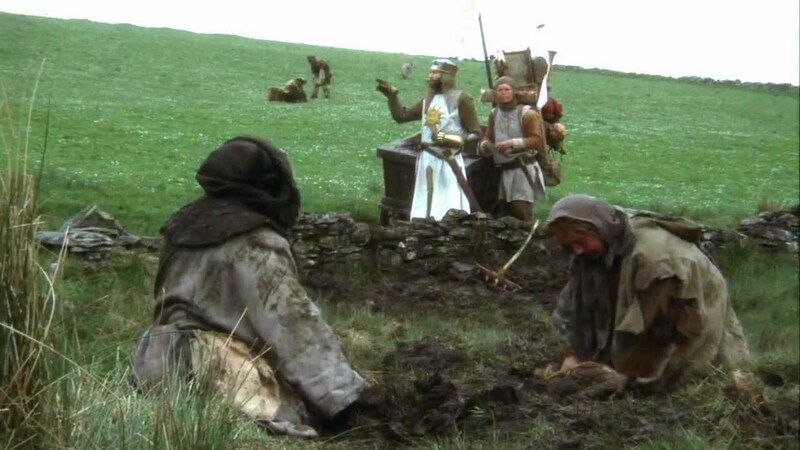 I salute Monty Python for challenging and mocking many historical myths, including the story of King Arthur and the Knights of the Round Table and Brian of Nazareth. There is much we can learn from them. And now please let us not fall prey to the new myths being created by people who want to be king.